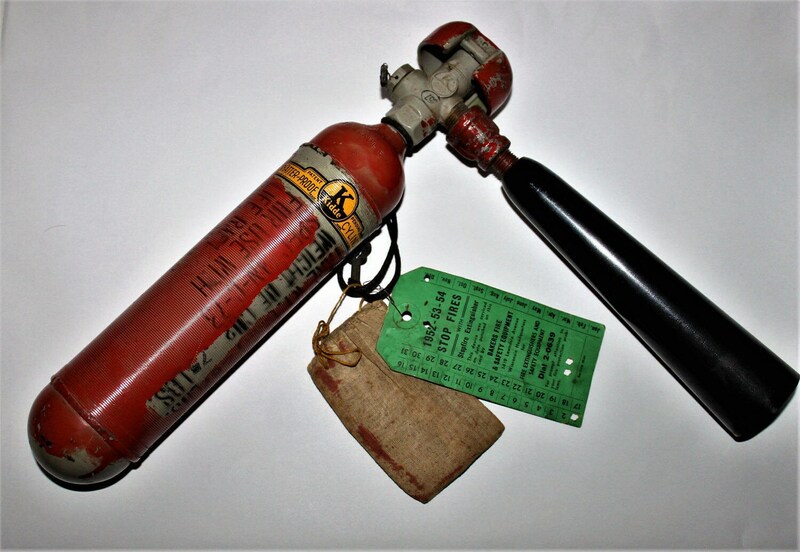 This is a very rare fire extinguisher made specifically for the US Government during World War 2 it was designed to be used in a Naval Life Raft. 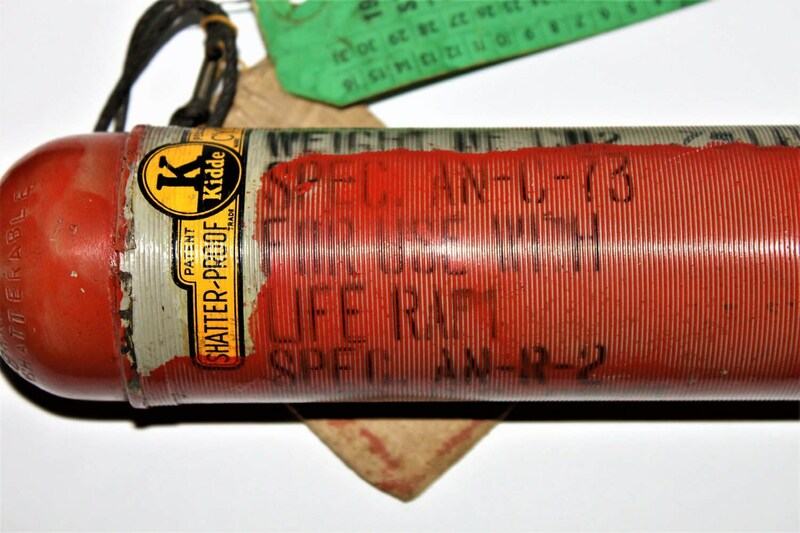 The tags attached to the tank are the last inspection tag (marked Dec 1, 1952) and a cloth bag containing parts for servicing the Extinguisher. 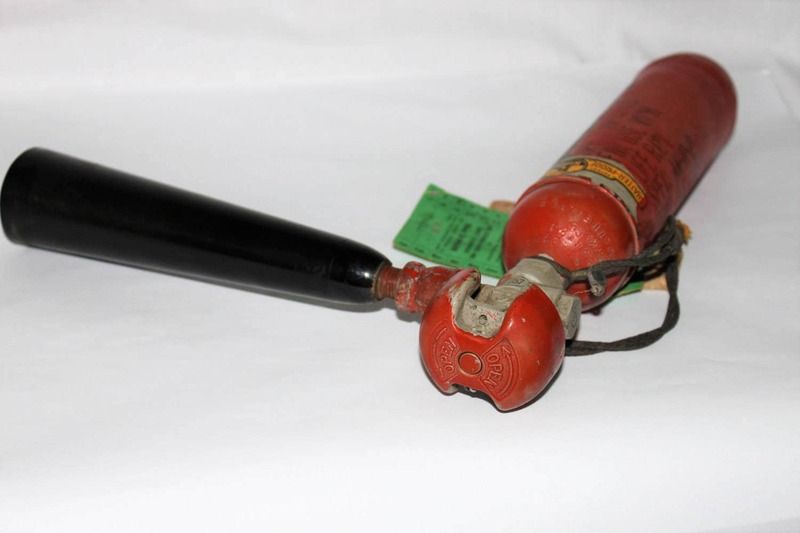 You won’t find a lot of information on this Extinguisher due to the fact it was made specifically for the US Government. 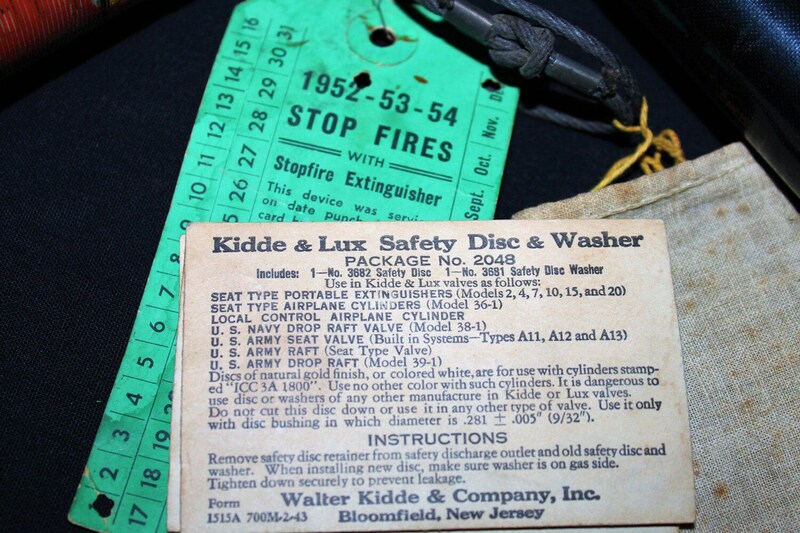 Condition; It appears to still be full and unused, has minor light scuffs. 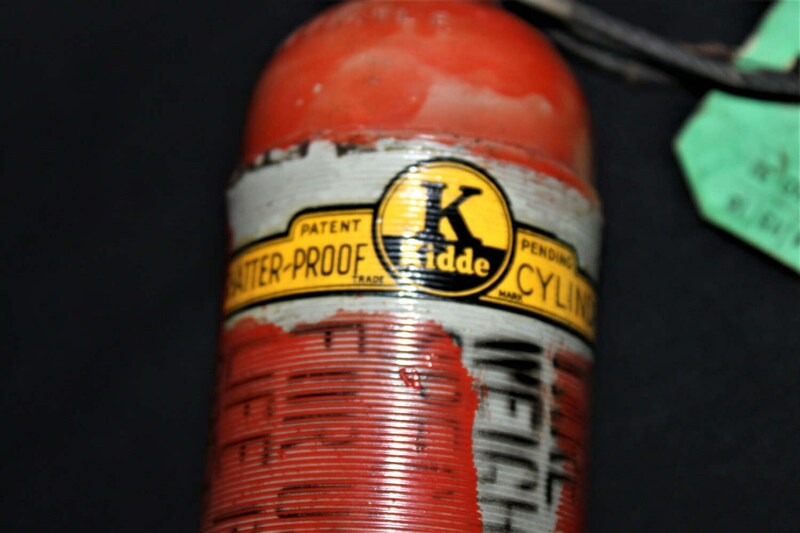 Early 1940s – Walter Kidde Company produced self-inflating life rafts and flotation vests, specially designed fire extinguishers for ships, tanks and aircraft, fire suppression systems for aircraft engines and compressed carbon dioxide devices for operating retractable landing gear and bomb bay doors and compressed oxygen systems for B-17 and B-29 bomber crews among so many other items essential to Allied troop safety during World War 2.